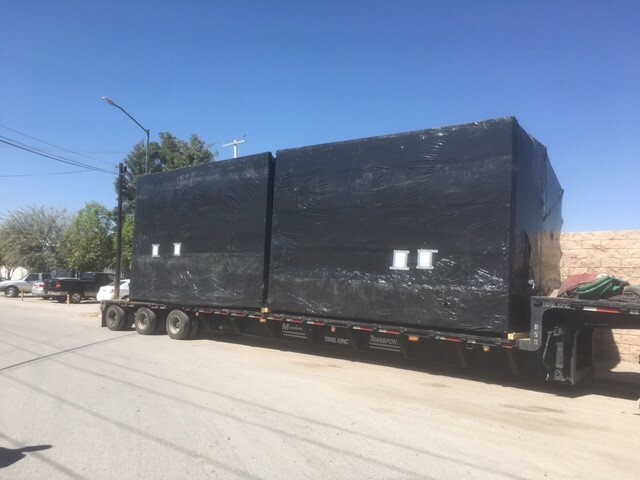 This months project of the month consisted of several shipments making their way from Torreon, Mexico to Iowa. These large cooling houses were 37 ft long, 10 ft wide, and 11 ft 10 inches tall, weighing 36,000 pounds. They needed to be fully tarped, to be protected during transit. It’s transit time was approximately 9 days, but luckily it made it to its destination on time and in budget.